Home » Blog » Spirituality & Healing with moldavites » Difference in energy of various moldavites? I have had two little moldavites, but was unable to really feel anything obscure off of them – most folks I’ve spoken with tell me that moldavite has a strange feeling, almost like it is alive. I ordered one new absolutely natural genuine moldavite. I picked up the piece after receiving it, held it with no real sign, but just as I was about to put it down I felt something that felt as though it had an electric charge. I have been busy with other stones, so I never went back to holding it…. Is it a difference in moldavites energy? 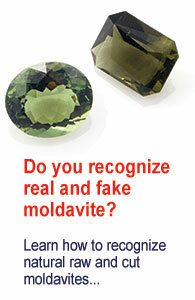 Or are the first two moldavites fakes? Do you have any experience with various moldavetes? I think they have a completely different type of energy. Any Moldavites I’ve picked up tend to have a similar effect. slow to come on and more sharp than warm. Very interesting observations. Keep up the fun work!! Do you mean like a different effect? I’v been testing a lot of moldavite. Some is so strong I feel like vomiting….Others I can’t even feel. The ones I can’t feel all my other friends can. My conclusion is moldavite picks you! And it’s hard to tell what type that is. For me the sharp spike shaped work for me. Thick ones are so slow I don’t think they like me either. Moldavite is an extremely high vibration, and it knows if your not ready for it, same with any high vibration stones, i have similar experience with Auralite-23. I held my first piece in the palm of my hand, closed my eyes, within a few minutes I felt like I was gently spinning in my chair. Now I don’t feel the spin anymore, I feel the chips(s) jumping in my hands, like literally moving. They also make me feel giggly/happy.